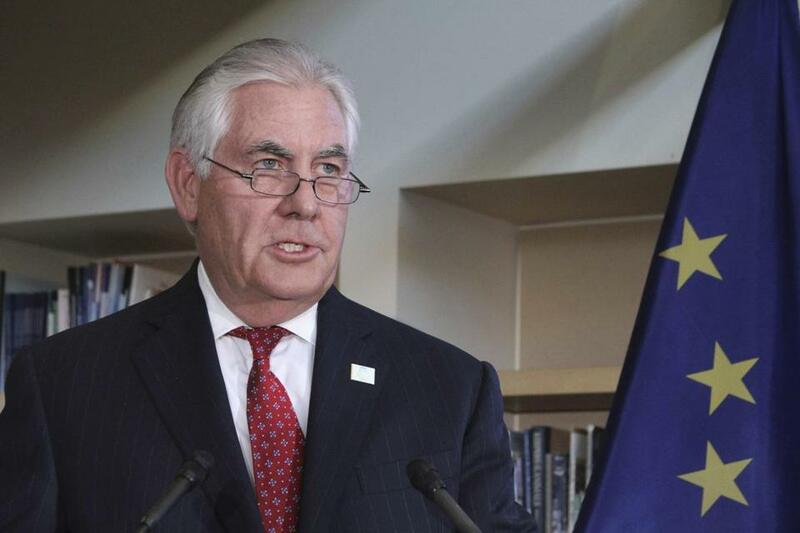 Russian interference in the 2016 U.S. election has been “well documented,” but it’s still in the interests of the U.S. to attempt to improve relations with Moscow, Secretary of State Rex Tillerson said. Even so, “it’s in the interest of the American people, it’s in the interest of Russia, the rest of the world, that we do something to see if we cannot improve the relationship between the two greatest nuclear powers in the world,” Tillerson said. The top U.S. diplomat spoke before Donald Trump leaves on May 19 for his first overseas trip as president, and days after Trump fired FBI Director James Comey, who was leading the investigation into Russia’s meddling in the 2016 election campaign. Tillerson said the sudden dismissal of Comey, less than four years into a 10-year term, didn’t create concerns about how much independence he would have as America’s top diplomat. Tillerson said he didn’t know why Russian ambassador Sergey Kislyak was present at an Oval Office meeting this week between Trump and Russian Foreign Minister Sergei Lavrov. Kislyak is a central figure in the probe into Russian election meddling and the involvement of former National Security Adviser Mike Flynn. The agenda for Trump’s trip, which includes visits to Saudi Arabia, Israel and the Vatican, is intended to “bring a message of unity among all of these people of faith, among these great religions,” Tillerson said. He declined to say whether Trump, who in the past has criticized human-rights abuses in Saudi Arabia, would raise that issue during a planned speech in Riyadh. The former Exxon chief executive expounded on what he called “a distinction between values and policy” in charting U.S. efforts abroad. Trump is “listening to input from all interested parties in the region and understanding, in the context of a peace initiative, what impact would such a move have,” he said.